Since 2006, the Tregaron Conservancy has been hard at work restoring and enhancing the many paths, stairways, bridges, meadows and the Lily Pond to their original glory, for all of us to enjoy all year long. Planting woodland wild gardens and large drifts of daffodils along our paths, inspired by Ellen Biddle Shipman’s historic designs. Planting and stewarding our new native grass and wildflower meadows, designed by renowned landscape designer Larry Weaner. This project will create a place of enjoyment and learning, and an expansive new habitat for birds, butterflies and other pollinators. It will also help suppress invasive species and reduce long-term maintenance needs. Uncovering and restoring original stone bridges, walls, footpaths and stairways and re-establishing historic footpaths, with guidance from DC’s Historic Preservation Office. Updating maps to reflect new paths and entrances, and creating new interpretive signs. Renewing the Lower Pond Valley landscape from the Causeway to the Klingle Stream headwall, removing invasives, restoring the stream bed and planting Shipman-inspired wild gardens. Planting canopy and understory trees, increasing biodiversity and adding to the over 200 trees already planted at Tregaron. 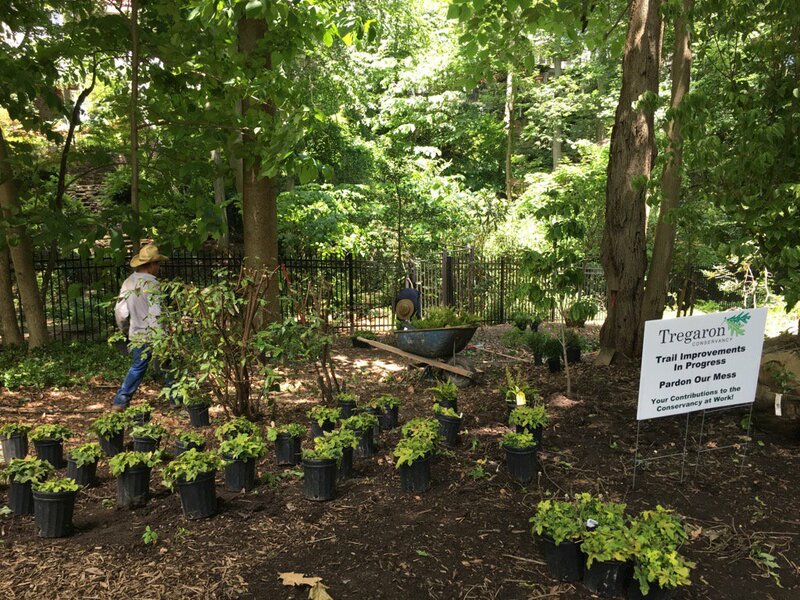 Engaging in more sustainable stewardship and management of the landscape year-round, and in long-range preservation and sustainability planning, guided by our volunteer professional landscape designers and expert landscape preservationist Glenn Stach.